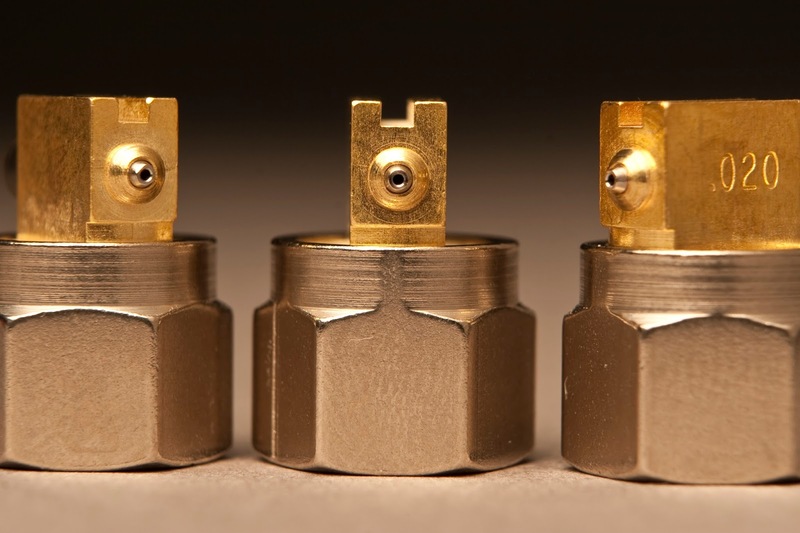 Are you continually having issues with nozzles firing at an awkward angle? Maybe you bought a "cheap" nozzle trying to save money. Not all aftermarket glue parts manufacturers are equal. 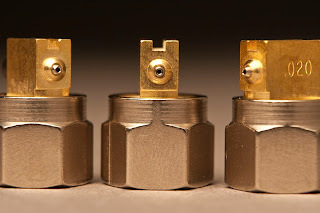 Keystone Industries, the largest US aftermarket hot melt parts manufacturer, machines precision stainless steel inserts for the glue nozzle bodies. This guarantees a consistently straight orifice which will ensure you have a straight glue shot on your substrate. Keystone also machines a variety of engagements of inserts for your particular needs. Different lengths of engagements will provide different velocity of adhesive extrusion. Not sure which you need? Call us and we can help. Cheapest does not always save you money. We have very competitive prices and are much less than the OEM's. We manufacture parts either exactly like the OEM's or so close you will have a challenge seeing the difference in performance. Why Change Nordson Glue hose?